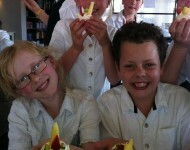 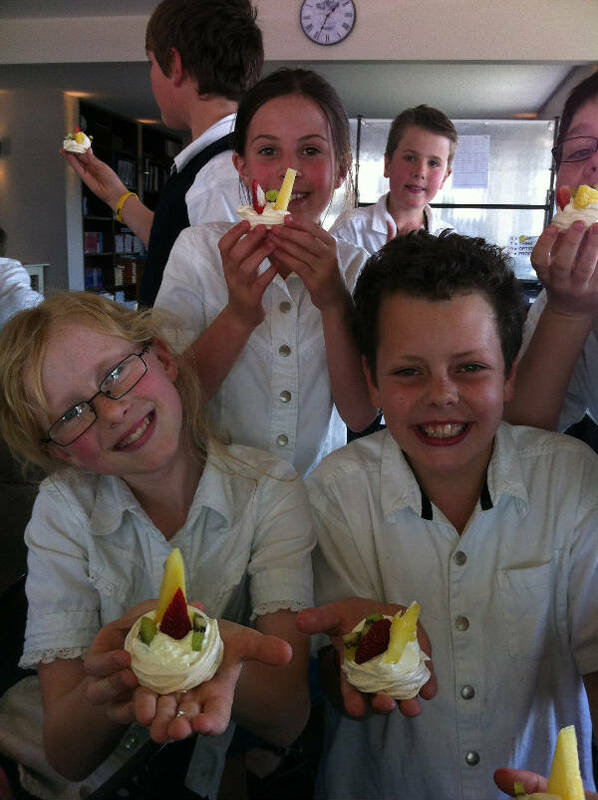 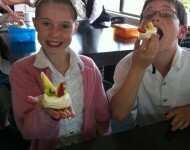 Year 5 & 6 Kingdom Building Pavlova! Today in Kingdom Building the Year 5 & 6 class enjoyed decorating their own mini pavlovas, as a part of their study on Australasia. 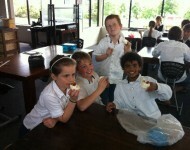 They learnt about the ongoing banter about whether it was invented in New Zealand first or Australia. 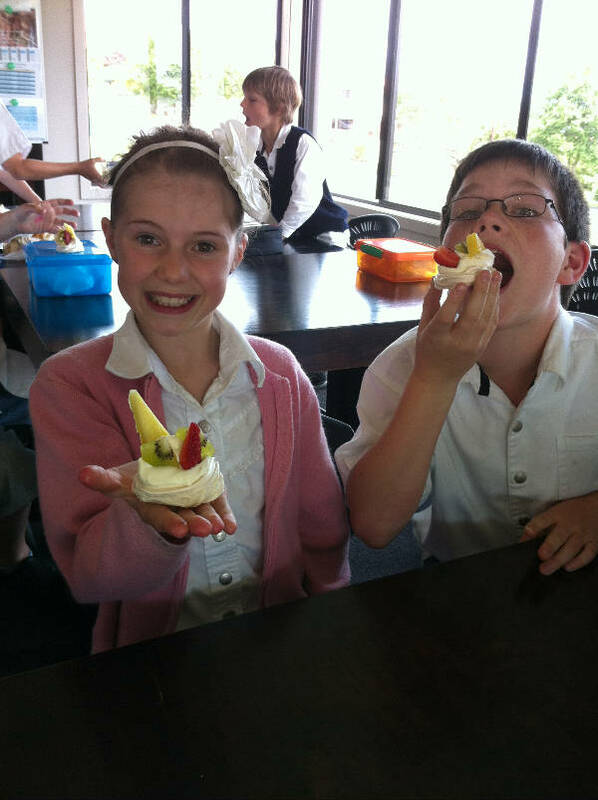 Evidently, they were unperturbed by these discussions, because the taste was amazing!